Bangalore: Departing from its earlier model of being a software services vendor, Wipro Ltd, India’s third largest software services company, is looking to earn nearly one-sixth of its global IT revenues by March 2009 from system integration (SI) business, or by providing hardware, software solutions and services. The company currently earns 68% of its revenues from Wipro Technologies, its global IT services division, and will be the first large Indian software exporter to bid for big SI contracts, competing with players such as Electronic Data Systems Corp., Accenture Ltd and Capgemini SA. Wipro Technologies, which builds software applications for customers such as Qualcomm Inc. and Alcatel Lucent SA, clocked revenues of Rs11,094 crore for 2006-07. “Systems integration combined with infrastructure management offers a huge market opportunity and Wipro Technologies could be aiming at that," said Avinash Vashistha, CEO of Tholons, a firm which advises clients on outsourcing strategy. Among the top-tier offshore vendors, Wipro Technologies is well poised to tap into the SI market, he added. Earlier this year, Wipro acquired US-based Infocrossing Inc. for $600 million (Rs2,425 crore in August) to strengthen its presence in the IT infrastructure management space. Wipro Infotech, the company’s arm which operates in the Asia-Pacific region and West Asia, and also sells hardware, has several SI contracts in the region accounting for 60% of its revenues of Rs2,483.5 crore in 2006-07. Although Wipro Technologies has been offering SI services to sectors such as telecom for several years, its revenues from the practice have been relatively small until now—less than 1% of sales in 2006-07. Nandy said Wipro proposes to target underserved industries such as financial services, energy and utilities, and healthcare and emerging segments such as new Web-based services with its SI practice. As reselling hardware is a low-margin business, the company aims to mitigate the impact on its operating margins through a solutions approach in the SI space, Nandy said. Last month, Sierra Pacific Resources, a Nevada, US utility, which delivers electricity to 1.2 million customers and natural gas to 145,000, engaged Wipro Technologies as its SI. Mehernosh Pithawalla, vice-president (strategic alliances), Wipro Technologies, said the renewed thrust on alliances would help SI work account for 15-18% of the division’s total revenues in 12-18 months. Business emanating from the alliances programme, which was launched two years ago, is expected to contribute to about 8% of the division’s revenues by the end of fiscal 2008. Though Wipro Ltd has upwards of 100 alliances, the earlier partnerships never had serious business plans and revenue targets. “There is (now) a formal revenue plan and tighter alignment with about seven-eight strategic partners," Pithawalla said. 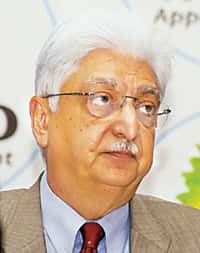 Clarifying that Wipro Technologies would not be reselling the products of its partners, Pittawalla said: “We will not be a channel, but will influence (choice of) products in certain deals." Wipro Technologies would also be taking over assets of clients as part of the SI deals, but on a selective basis, he said.